Jakarta Struts is one of the most popular MVC frameworks to create a Java web application. Struts 1.0 had ruled the world in early 2000 era before Spring MVC took over. Still there are lots of projects written in Struts which needs active maintenance and that's why Struts developers are still in demand. It has not become anything like COBOL, but the latest version of Struts 2.0 is a capable web MVC framework with dependency injection and has a sizable community behind it. It has close competition with Spring MVC but given the demand for Struts developer, it's still a good technology to learn if you are looking for the job in Java web development position. What is the best way to learn Struts? Well, you can start with books and who doesn't like free eBooks and I am going to share some of the good free Ebooks to learn Struts, useful for both Java and J2EE developers. Here are three Struts book which are freely available to read online or download as PDF. First two books are really good for any Java EE developer looking to learn Struts 1 or Struts 2 by himself. Remember, Struts 2 is completely different from Struts 1, you should check these differences for quick comparison. 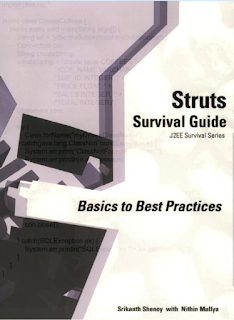 Description: Download this free Struts book: “Struts Survival Guide: Basics to Best Practices” in pdf format. This book teaches you how to build dynamic websites in Java using Java Server Faces, using a hands-on, practical approach. You will learn how Struts framework works, learn how to build your first struts application, all about actions, form validations, error handling, struts tag libraries, tiles, internationalization and the right way to use the struts framework. Very useful book for both Struts beginners and experienced alike. You can also buy the hard copy of this book from Amazon. 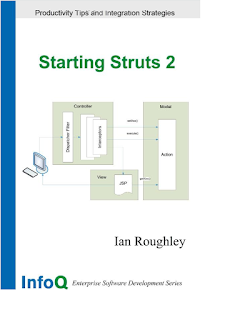 Description: Download this free eBook “Starting Struts 2″ in pdf format. Struts2 is the latest manifestation of the popular Struts Java web application framework. It is as much capable as Spring MVC framework because it also support dependency injection and several other feature only supported by Spring MVC. You will learn the difference between Struts 1 and Struts 2 framework, how to use Struts 2 to build Java MVC web application, along with some productivity tips to effectively use Struts 2.0. This book is also available for free pdf download from the infoq.com website and you can also buy the hard copy of this book from Amazon. 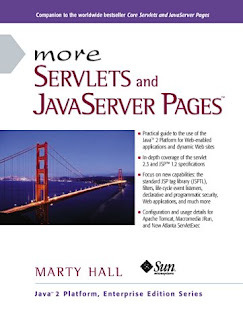 Description: More Servlets and JavaServer Pages is now available in pdf format free of charge. A practical guide to the use of the Java 2 Platform for Web-enabled applications and dynamic Web sites. Focuses on new capabilities: the standard JSP tag library, filters, lifecycle event listeners, declarative and programmatic security, Web applications, and much more. This is not a pure struts book but because you never develop an application with just struts, instead you use both Servlet and JSP, this is a good book to learn holistic web application development in Java J2EE. These books provide good coverage of Struts, though. You will find both beginners introduction of Struts and advanced Struts concepts for experienced developers. That's all about free Struts framework books for Java and J2EE developers. Some of the books are only free for reading online but others you can download as free PDF. If you come across any other struts books which are free, please feel free to share with us. Struts 2 in action is better book than these two, but yes, that's not free. To be honest I don't like concept of free books, first criterion is book must be good, readable, and updated. Anyone who is learning programming can pay 20 dollars, it's not a big deal. Even if you don't pay you are still investing your time, which is valuable.